Probably the greatest sin a professional writer can commit is plagiarism, the passing off of somebody else's work as one's own. Yet there are some situations in which avoiding plagiarism can be difficult, especially if you're writing about subjects which have often been written on before. Modern plagiarism detection software doesn't take account of your intent but only identifies textual similarities, and it is increasingly used to police the work of essayists and article writers, especially those working in an online environment. How can you adjust your writing to make sure you don't unwittingly get into trouble? One of the most difficult areas in which to avoid plagiarism is when you are asked to write about a well-trodden subject in a simple way, such as when you're writing sets of instructions for an activity, or describing a product. It helps to be aware of what's been written in the past, but often you won't be paid enough to justify the time you'd need to look up everything, if it were even possible. One way to cut down on your chances of accidentally repeating something written in an existing article is to use the latest terminology and idiom, so only very recent articles could correspond with yours, but unfortunately not every editor likes this technique. Another option is to use a distinctive style, such as bullet-pointing where you expect most people would use simple prose, and vice versa. It's important to remember that plagiarism isn't just about the use of identical language. It can also involve the copying of ideas. Obviously this is harder to avoid, but it is not usually considered problematic unless it involves identical ways of structuring arguments or developing complex ideas. If you are working closely from a reference text, make sure that you avoid arranging your thoughts in the same way and try to bring in material from other sources. The more sources you use, the less likely you are to plagiarise somebody's work accidentally. Finally, remember the importance of good note taking. If you are to avoid copying your sources, you need to remember clearly what your sources said and what similar ideas you developed for yourself. If you can avoid inadvertently aping the work of others by adopting your own distinctive style, it's rather harder to use such techniques to avoid copying yourself, something so frowned on in certain sections of the industry that it is referred to using the emotive term 'self-cannibalism'. It can be particularly difficult to avoid for copywriters producing regular promotional pieces for the same products and for specialist writers being required to explain the same processes. One means of avoiding self-plagiarism is to use a previous piece you've written as a template so that you can make deliberate and substantial changes to it. However, this is less useful when you have several such pieces to write. If you know you are approaching a series of assignments like this, take the time to make lists of alternate words and phrases you can use and mix and match them to create as much variety as possible. Try to stand back from the work you're doing every now and again to make sure you're not getting into a rut and to see if you can find fresh ways of talking about it. If you're not under a privacy clause, discuss it with friends and family to see if you can benefit from their fresh perspectives. If you're concerned that, despite your best efforts, your work may fall foul of your employer's plagiarism detection software, try running the same software yourself to see what it comes up with. 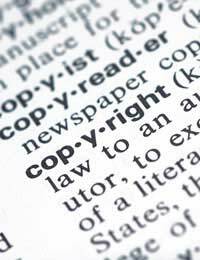 There are several sources of free plagiarism detection software online. If you think that accidental plagiarism is likely to be a serious problem in a particular piece you're writing, don't just grin and bear it and keep putting in extra work - talk to your editor. Let them know if you think the plagiarism rules they're working to are unreasonably tight. After all, it isn't the conscientious writer whom they were originally designed to restrain.